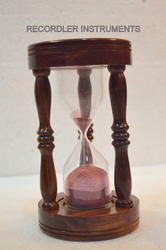 We are manufacturing wide range of decorative sand timers in brass & wood. - Can be used from both sides just like a real sand timer! Our expert team of designers offers extremely detailed sand timer to our clients. Our products are the example of unique and authentic architectural piece. - Can be used from both sides, just like a real sand timer! Mesmerize with the upward movement of the timepiece while the sand filters downward. 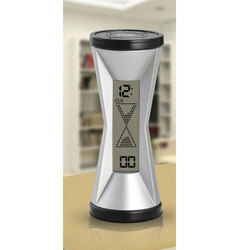 We are main supplier of Digital Hourglass. • Can be used from both sides, just like a real sand timer! We are the wholesaler of wide range of Decorative Sand Timer. We offered timers according to clients need by our company is appreciated by the worldwide customers for its high reliability along with durability. An excellent gift, it features beautiful solid brass antique stand set into wooden box.